Since taking up the role of creative director at Moschino, Jeremy Scott hasn’t been one to shy away from a funky print. 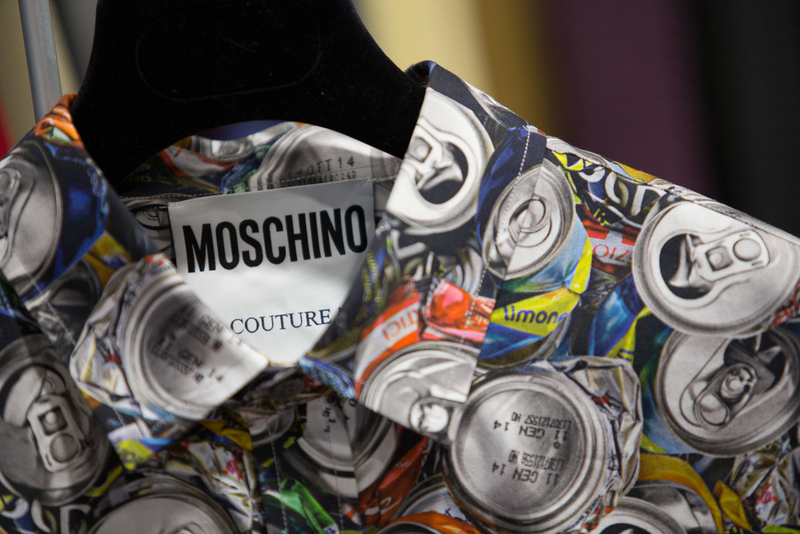 The man who brought us Barbie, McDonalds and SpongeBob in fashion form, is taking SS15 down an altogether more urban route with his crushed can print. Detailed to a hilt, complete with ring pulls and sell-by dates, the graphic print is high impact when worn all over and guaranteed to garner some attention against a sea of neutrals. Keep the rest of your outfit simple and let the print do the screaming. If you prefer an unexpected flash of detail, go for the black shirt with subtle collar and sleeve trim; a flash of fun that stands out all the more against the black. Both shirt designs feature in Moschino’s SS15 collection, available in store at Robinson’s now.